Blogging in 2018 brings with it an abundance of opportunities for earning a side income. Especially in the field of affiliate marketing. We are spoilt with platform choices when it comes to publishing and marketing content. If you’re going to hustle big time to get noticed and become a massive influencer in your niche – then you are going to have companies wanting to pay you to promote their products. That’s why we have conjured up today’s blog post that talks about twenty of the latest affiliate programs for bloggers. In this articles, we will be covering four category favorites of bloggers – fitness, health, beauty, and pets. So if you are an authoritative figure or looking to explore these niche opportunities, then carry on reading. If you would like to jump straight to specific affiliate program category, then you can click on one of the links below. As you may notice, each category includes five affiliate programs with great products that bloggers can promote. Below are the 5 affiliate programs for bloggers that we have for you within the fitness niche. You’re either motivated or intimidated by hot looking women at the beach. But what if you were one of them and heads were turning at you in admiration? Hashtag goals. And yes, it certainly is possible if you support your body efficiently. Get amazing all-around fitness products from Vannabelt – whatever issue you would like to address. From weight control, postpartum to stretch marks, cellulite and loose skin. Get fat burners, waist trainers, cellulite smoothers and more. Ladies, this is the secret to the South Beach body. Affiliates earn a commission of 10-19% on sales. Apply here to become an affiliate of Vannabelt. The moment fitness becomes complicated, the chances of failure become high. So the key to success I believe is keeping things as simple as possible without traumatizing your body with crazy activities. If you’re nodding your head in agreement, then Femme Fit is for you. This training program for women will help you build your dream body. You’ll get world-class training by “The Body Sculpting Experts”, fun training sessions, simple meal plans and most importantly: lots of support. Affiliates earn a commission of $40 on sales. Apply here to become an affiliate of Femme Fit. No calorie energy drink. Nope, this is not a dream. Think of it as a dream come true. 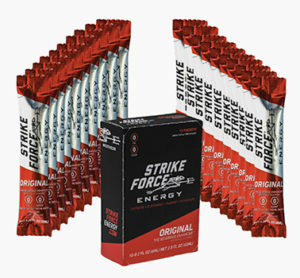 Strike Force Energy from Strike Force Beverage will turn your water into a full energy drink. No stirring or shaking needed. Did I mention no sugar too? Give your body a kick with a good dose of caffeine, taurine, potassium and B vitamins. I’m not even sure how a zero-calorie energy drink is possible but Strike Force Beverage has made it possible. So go on, get your 10-pack box and give your body a boost. Affiliates earn a commission of 5% on sales. Apply here to become an affiliate of Strike Force Beverage. Having a great body is all about good exercise and good nutrition. Good nutrition without exercise won’t tone your body and good exercise without good nutrition won’t give your body the fuel it needs. Alpha Force Nutrition is Europe’s one-stop-shop for all your sports and bodybuilding supplements so you can feed your body with what it needs to get into shape. Affiliates earn a commission of 10%. Apply here to become an affiliate of Alpha Force Nutrition. You haven’t trained until you’ve used kettlebells. Whatever your usual workouts are, add kettlebells to the situation and you will feel muscles that you never knew existed. And the thing is that kettlebells look small and “cute” – but don’t let their appearance mislead you. These little things will help build your strength and flexibility. Whether you are an entry-level user or a kettlebell enthusiast, you will find the world’s best kettlebells from Kettlebells USA. These are the highest quality on the market – hey, even the USA armed forces use them. Go on then and take your strength to the next level. Affiliates earn a commission of 10% on sales. Apply here to become an affiliate of Kettlebells USA. If you still want to browse more fitness affiliate programs for bloggers, then you can check out our huge database of merchants and what they have to offer. If you have a health and wellbeing blog, then these are the affiliate programs that you want to be looking into. Humans have a tendency to complicate things. We use artificial ingredients for product improvements and all that fluff that actually become a health and environmental hazards. Shame on us. I believe we need to go back to basics sometimes and let mother nature do her thing. Don’t you? Forget your fancy commercialized health products that promise the world at the cost of a fortune and give natural essential oils a try. 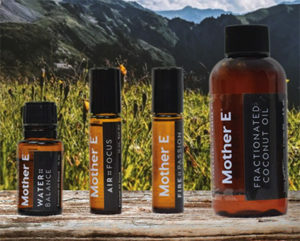 All the essential oils you may need for your well-being, body, and home are affordably available from Mother E. Now get amazing oil blends like True Joy that will uplift your soul as on a happy summer day. Affiliates earn a commission of 25% on sales. Apply here to become an affiliate of Mother E.
The idea of meal replacements may suggest that people are taking their diets a bit too far with this quick and easy lifestyle. After all, how healthy can a meal replacement be compared to the conventional meal? Truth be told, whichever side of the spectrum you float, it can be challenging to give your body healthy and organic fuel especially if you’re an on-the-go type of person. 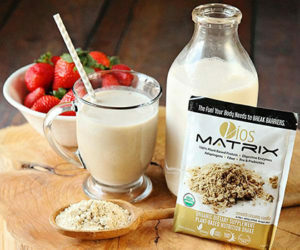 How does a 140-calorie meal replacement that is made with organic 100% plant-based ingredients sound? Get this amazing nutrition shake from Vios Nutrition – it’s packed with probiotics and adaptogens which are natural ingredients that fight fatigue and relieve stress. Did I mention it is non-GMO, gluten-free, 100% vegan and made with pure quality ingredients? Go on, your body will thank you. Affiliates earn a commission of 10-20% on sales. Apply here to become an affiliate of Vios Nutrition. You’ve gotta love humans. 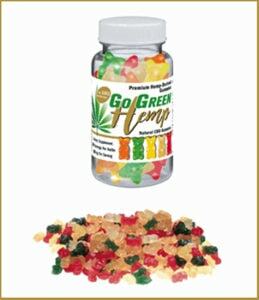 They’re capable of making interesting things like cannabidiol gummy bears. Yeah, and what’s even more interesting is that other humans will actually buy cannabis inspired gummy bears. Why else then would NW Hemp Products make them? Don’t worry though, you won’t be getting high on these because they contain zero THC – sorry to those that had “higher” expectations. You will still enjoy all the benefits like awesome sleep, anxiety relief and it’s completely legal. Get other CBD products from NW Hemp Products – non-GMO, zero THC and gluten-free. Affiliates earn a commission of 20% on sales. Apply here to become an affiliate of NW Hemp Products. Worried about all the artificial stuff in commercial supplements? Ironically, while you’re supplementing your body with such vitamins and minerals, you could be contaminating your body with other harmful ingredients such as preservatives. If you’re keen on taking the natural route, Intercontinental Alternative Medicine has a range of herbal supplements that effectively help treat common health problems such as diabetes and high blood pressure – just to name a few. Discover the amazing power of nature. Affiliates earn a commission of 20% on sales. Apply here to become an affiliate of Intercontinental Alternative Medicine. Hello, 2017. These problems may have even become your normal. Stop. There is nothing normal about living a non-amazing life. The problem is that we’ve ignored the most critical organ of our body. The Gut. A poor gut leads to many health problems. 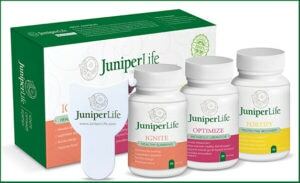 You have a chance to transform your body with the Transformation Program by JuniperLife. 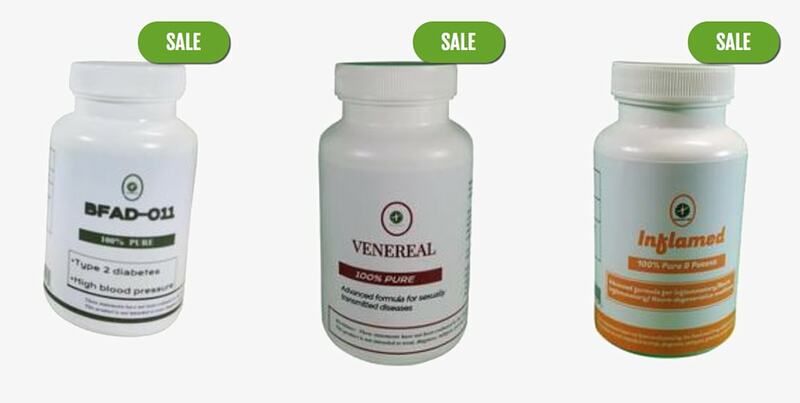 This 3-product kit will help protect, heal and soothe your gut – restoring your body back to amazing health. Want to browse more health affiliate programs for bloggers? Then check out the rest of the merchants that you can partner with today. The beauty industry is massive, and we’re sure many of you are beauty influencers. So check out the next affiliate programs for bloggers for products that you can promote through your blog. I figure that women in the 21st Century must be more beautiful than ever. That’s my conclusion. Think about it. There has never been a time where the range of beauty products is as extensive and as advanced as it is today. If you would like to explore the extent of what modern cosmetics will do for your beauty, then click on over to Middle Eastern brand, Dr. Q Cosmetics. 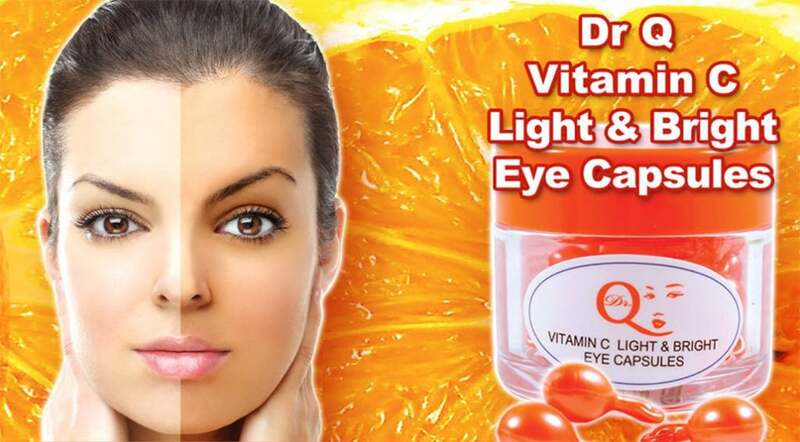 From premium quality eye capsules, age reverse creams, cleansing milk, supplements to mink eyelashes. Formulated by experts in the industry, your beauty needs will be taken care of. Affiliates earn a commission of 10% on sales. 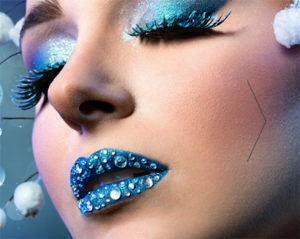 Apply here to become an affiliate of Dr. Q Cosmetics. They say if it isn’t safe to eat, then it isn’t safe for your skin. Natural ingredients have been used to care for the skin for generations before chemicals. Vintage Tradition offers traditional nourishing and healing skincare products such as their popular tallow balm which is a whole-body balm for the face, lips, hands, feet, and body. The tallow balm contains natural ingredients with healing properties to treat many skin conditions such as damaged and irritated skin, rashes, wrinkles and more. Affiliates earn a commission of 10% on sales. Apply here to become an affiliate of Vintage Tradition. Skincare can get overwhelming in a very complex way. Every skin type and skin condition has its own specific range and over and above this, basic daily skincare routines comprise multiple products. Day cream, night cream, serum, primer and the list goes on. Talk about high maintenance in the name of beauty. 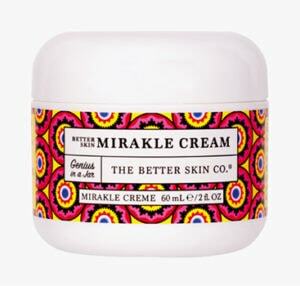 If you’re struggling to keep up and need to simplify your skincare routine while still giving your skin all the love that it needs, The Better Skin Miracle Cream from The Better Skin Co is what you need in your life. This all-in-one genius cream, made from natural ingredients, is for all skin types. From reducing the signs of aging, promoting a youthful radiant glow to diminishing hyperpigmentation. What more could your skin ask for? Get yourself this jar of genius for your skin from $24. Affiliate earn a commission of 25% on sales. Apply here to become an affiliate of The Better Skin Co. There comes a time in a woman’s life where she needs to look like a goddess. Ladies, you know what I’m talking about. THAT event of the season. Dressed for the red carpet – whether you’re a star or not, doesn’t matter ‘cause you sure look like one. These are the times to give your eyelashes a whole lot of drama to transform yourself into a goddess. Click on over to On The Go Lash for all your eyelash extension needs. From 100% human hair lashes to real 3D mink lashes, glam yourself up from as little as $9.99. Affiliates earn a commission of 30% on sales. Apply here to become an affiliate of On The Go Lash. Every woman craves a radiating glow on her skin. Beauty doesn’t feel any better than this. When a woman’s skin looks and feels amazing. Soft as silk, illuminating charm and smells heavenly. 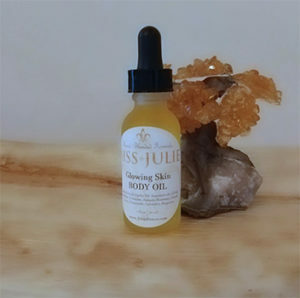 This is what you will experience with the Glowing Skin Body Oil from JL Skin Fitness. Affiliates earn a commission of 12% on sales. Apply here to become an affiliate of JL Skin Fitness. If you enjoyed this list of beauty affiliate programs for bloggers, then you should definitely go check out our full list of merchants. Whether you have a blog about pet care or pet product reviews – below you will find 5 great pet affiliate programs that you can join. As much as you may love your pet, fur shedding gets on the nerves of most. But with effective grooming, you don’t have to deal with this irritation any longer. 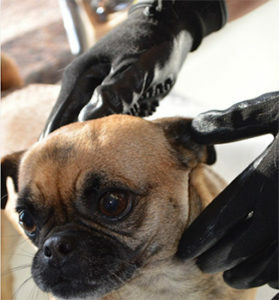 Thanks to HandsOn Gloves, you can give your pet a thorough grooming experience. These #1 ranked and award-winning de-shedding animal gloves go beyond other traditional products on the market. Used wet or dry, hand grooming your pet with these gloves will relax them – a bonding session that your animal will love. Affiliates earn a commission of 20% on sales. Apply here to become an affiliate of HandsOn Gloves. Extreme pet parents take their passion to heights. Because there is nothing that demonstrates your obsession with your furry child until your living room wall is splashed with its pictures – or you’re wearing clothing or jewelry with its face printed on it. If this sounds like you, then you’ll be so happy when you check out Seeplanet. 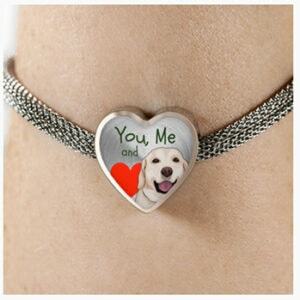 Apparel, jewelry, home products, and artworks – their customized products are for the extreme pet parent who can’t resist showing their love. Oh, and 10% of proceeds go towards supporting the love of the planet. Affiliates earn a commission of 30% on sales. Apply here to become an affiliate of Seeplanet. Do you know what’s cuter than your pet? Your pet in cute clothes and accessories. Serious cuteness overload. You’ll know what I’m talking about when you check out Woofingtonclub. From the cutest woofies (dog toys) that your furry friend could ever play with to the most adorable clothing for the fashionistas and gentle dogs. Oh and you’ll find lovely gifts for pet parents like a sparkly paw ring for a dog mommy, “the best dad dog” tees and more. You’ll find nothing short of lovable at Woofingtonclub. Affiliates earn a commission of 8% on sales. Apply here to become an affiliate of Woofingtonclub. We’ve all had sluggish days. Days when your body doesn’t feel its best. So, what do you do? Get yourself some vitamins and supplements then you feel as fit as a fiddle again. Now, what about your dog? Your dog has those days too. But he or she can’t exactly say to you “hey, I don’t feel like woofing about today – help or go away”. If dogs could talk. Save your dog from bad days and get DoggieWater. 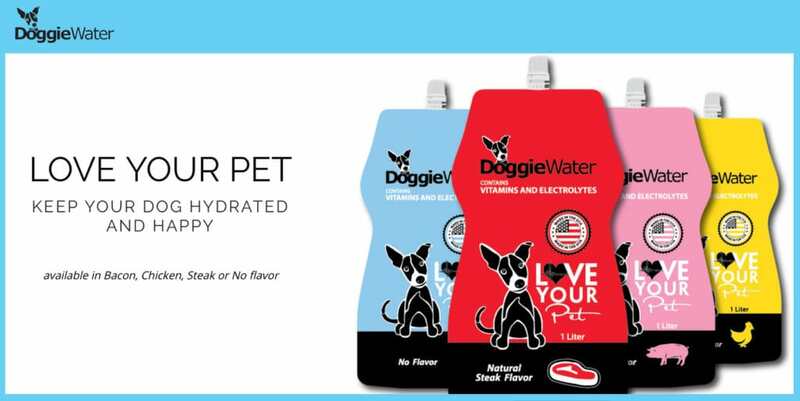 Packed with vitamins and electrolytes best suited to keep your dog happy and hydrated. Available in plain or flavored easy to carry packs. Get a 4-pack for only $19.49. Affiliates earn a commission of 20% on sales. Apply here to become an affiliate of DoggieWater. Did you know that dogs can receive the same benefits from honey as humans do? That’s right. Honey will calm your dog’s digestive system, give it a natural energy boost, improve its immune system and more. 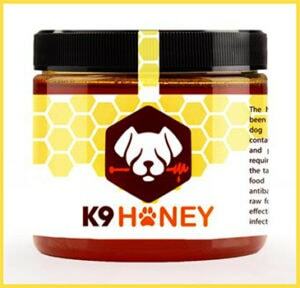 Give your dog doses of honey goodness from K9 Honey. Made from raw honey, this all-natural product makes a tasty treat and food topper for your dog. Your furry friend will be happy and healthy with K9 Honey. If you want to earn a commission of 10% on sales, then you should apply now to become an affiliate of K9 Honey. Do you want to browse even more pets affiliate programs for bloggers? Then check out the complete database of merchants here. We hope you found a good few affiliate programs to tickle your fancy. Just remember that if you’re going to sign up to one of the above merchant programs, then make sure the products are relevant to your blog. That way, you can ensure that your audience has an interest in the products you are promoting. Fitness Affiliate Programs – great products to promote if you are a fitness blogger. Health Affiliate Programs – the ideal choice if you are looking to promote health & wellbeing. Beauty Affiliate Programs – perfect if you are an authoritative figure in the beauty industry. Pets Affiliate Programs – if you have a blog about pets, these programs have some great products. 8 Home Improvement Affiliate Programs – here are some great affiliate programs for bloggers if you’re looking to promote home decor products. Technology Affiliate Programs – 2018 Recommendations – if you have a technology related blog, then you will find some awesome affiliate programs that you can sign up to. Well, that’s all we have for you in today’s guide to the latest affiliate programs for bloggers. Don’t forget, we release fresh articles every week, so make sure you come back! Good Luck with your affiliate marketing ventures!